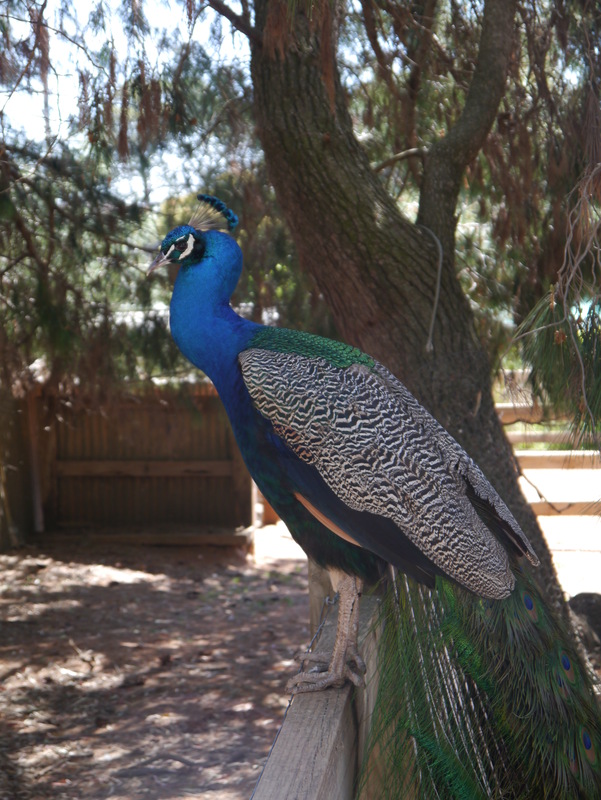 The best thing about Wagga Wagga wildlife park. This weekend we decided to explore what the city has to offer with a trip to the zoo. The park contained a few of the local Australian species of Kangaroos etc, but the most interesting creatures were the peacocks. I made it my mission to get a photo of a male displaying his tail. I find these birds fascinating that they have to perform such an elaborate display to attract a mate. At first they eluded me but I eventually managed numerous shots of their amazing tails. However this image has ended up being my preferred shot for the day due to the lighting and the bird’s vivid ‘peacock blue’ feathers. 20 Oct	This entry was published on 20/10/2012 at 04:37 and is filed under Uncategorized. Bookmark the permalink. Follow any comments here with the RSS feed for this post.